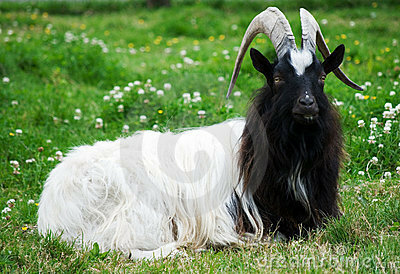 The Bagot goat is one of the oldest breeds of goats in Britain today. It goes back in history to around the 1380s. This is when it was introduced to Blithfield Hall in Staffordshire. The actual date for this is well documented. 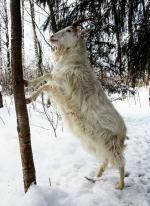 It is likely that the Bagot may be descended from the Schwarzhal goat from the Rhone valley. There are many stories as to how they got to Blithfield Hall, the most likely one which cannot be proved , but the most factual being, some goats were brought back to England by the returning crusaders. Some were it seems, given to the then John Bagot who was at Blithfield, by King Richard II. This was in recognition of a good days hunting by the King at Blithfield, in Babots Park. It is known that these goats have been running semi-wild at Blithfield for well over 600 years. As regards the history story and the crusades. It must be pointed out that the crusades finished around 1100. The goats, so the story goes, went to Blithfield around 1380. This would indicate that the goats probably went first to one of the Royal Parks. The damage they would have done there, no doubt would have been considerable and the King would have been glad to get rid of them to another place where they could be enjoyed for hunting.